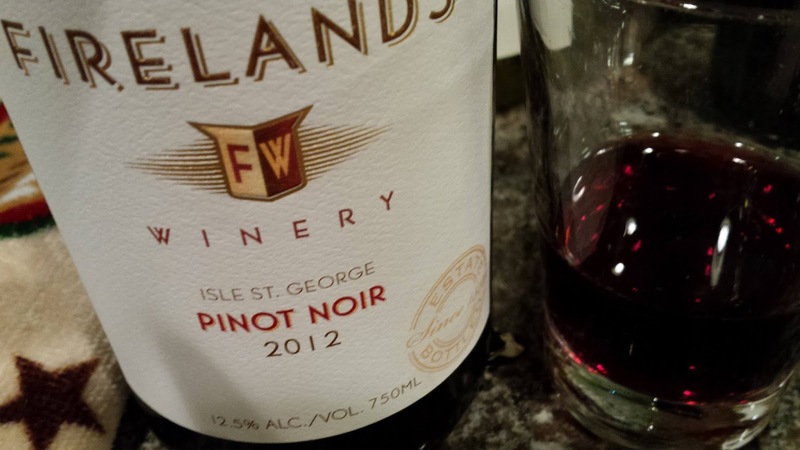 This The United Grapes of America feature focuses on an excellent wine from Ohio, the Firelands Winery 2012 Isle St. George Pinot Noir ($16). Firelands is currently the largest winery in Ohio and is located in the northeast part of the state almost at the midpoint between Toledo and Cleveland. Firelands refers to the "region of north central Ohio which was allotted to Connecticut citizens whose homes were burned by the British during the Revolutionary War. As they resettled, they brought with them their wine making heritage, and a love for fine wines." The Isle St. George AVA is the only island appellation in North America and is located on North Bass Island in western Lake Erie. The island is quite remote as it requires two ferry crossings to reach from the mainland and has only a dozen full time residents. The location is ideal for red vinifera which are unable to ripen on the mainland as Lake Erie warms the island in the fall - prolonging the growing season. It also contains limestone - perfect for Pinot Noir. As mentioned early, this wine is excellent, light bodied with raspberry-cherry flavors, some silk and a smooth herbaceous finish. And at the price, and exceptional value. Thanks to Dave Nershi from Toledo Wines and Vines for trading this wine.